Placental derived, Adipose (Mesenchyme), and Bone Marrow Derived Stem Cell Regenerative Therapy are effective treatments for a wide variety of musculoskeletal disorders, degenerative arthritis, and peripheral arterial related disease. The procedure for harvesting autologous stem cells (cells that come from your own body) varies upon where the donor site comes from but is generally not overly painful, is done as an outpatient, and does not require any downtime. 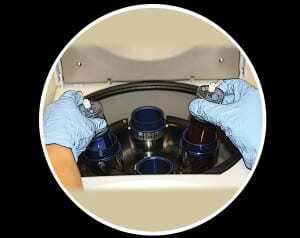 After the cells are harvested they are concentrated in a special centrifuge. The concentrated regenerative cells are then injected back into a joint, muscle, tendon or ligament injury to stimulate tissue repair and reduce pain. Placental derived stem cells grafting is even easier as no harvesting is required. In the case of peripheral vascular disease wound healing can be accelerated and angiogenesis (new blood vessel growth) has been demonstrated. 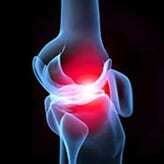 Osteoarthritis is a degeneration or destructive wearing of the tissue that supports the joint. This tissue is called cartilage, and is there to protect the bone against trauma or damage from daily activities. When the cartilage is worn away it leaves exposed bone which rubs against each other causing chronic pain and swelling. Osteoarthritis occurs most often in the knees, hips, back and hands. Stem cell injections can be used to treat acute injury or long term degenerative disease. Depending upon individual circumstance when done for the treatment of joint osteoarthritis 80% will enjoy 50% or more relief and 50% will achieve 80% or more relief. Injections can be repeated if necessary however for many people only one treatment is required. Fat and bone marrow are the two most common cell types to harvest stem cells from in adults. 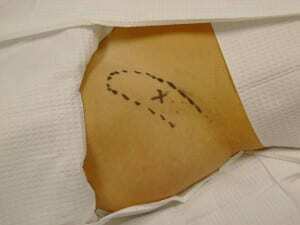 Fat cell liposuction donor sites frequently include the abdominal wall, the buttock (below the iliac crest), and the love handles (above the iliac crest). Age and other risk factors help determine which donor site is best to harvest from. Bone marrow harvesting usually occurs from the Iliac crest itself (with an approach from either the front or the back). Fat cells are a great source of stem cells and growth factors for patients of all ages. Bone marrow is a great source for those 45 or younger (preferably 40 or younger). Stem cells are distinguished from other cell types by three important characteristics. First, they are unspecialized, second, they are capable of renewing themselves through cell division, sometimes after long periods of inactivity and third, when a stem cell divides, each new cell has the potential either to remain a stem cell or become another type of cell with a more specialized function. 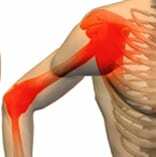 Examples of specialized cells include muscle, ligament, bone cartilage and blood vessels. When placental derived stem cells are used all of the steps involved in harvesting the cells are no longer needed. Under strictly controlled conditions set up by the these stem cells are harvested, processed, and shipped to the office and all you have to do is show up for the graft, which typically only involves an injection. 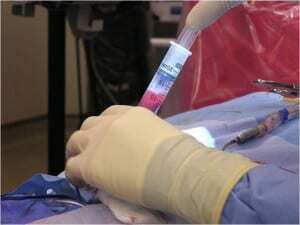 Once stem cells are reinserted into the target tissue it is common to add activating growth factors such as found in Platelet Rich Plasma (PRP). It, along with external signals from chemicals secreted by local cells, physical contact with neighboring cells, and certain molecules in the microenvironment influence stem cell differentiation into the desired tissue (hence stem cell therapy is referred to as Regenerative Medicine). With autologous stem cell therapy the “eureka” day often occurs at 21 days and the wound healing response has peaked by 30 days. For placental derived stem cell therapy results are usually self-evident after one month but may also continue to express themselves for up to 90 days. While there can be post procedural pain most people do with mild to moderate analgesics. At Piedmont Physical Medicine and Rehabilitation, PA we offer a full line of regenerative medicine treatments including proliferative injections, PRP, and Stem Cell harvesting followed by implantation. We view each patient individually and strive to use the right intervention for the right patient at the right time.